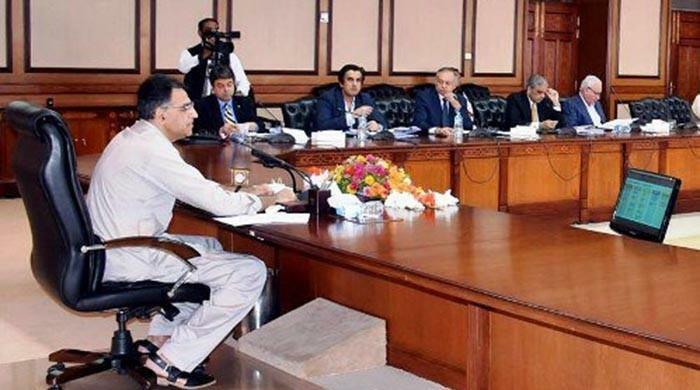 Islamabad: Finance Minister Asad Umar is chairing the NFC meeting in Islamabad on Wednesday (today). In NFC meeting led by Finance Minister Asad Umar, several key issues will be discussed. However, during the meeting, the financial position of center and provinces will be analyzed. In addition, several recommendations for the better distribution of national resources under the new NFC award will be also discussed. However, last NFC award was revealed in 2009 that significantly increased the provincial share from the divisible pool. The government of Pakistan on January 12 decided to put back together the NFC. Members of the re-formed NFC comprise the incumbent federal minister of finance and his provincial counterparts from Sindh, Balochistan, Khyber Pakhtunkhwa, and Punjab. Other members who represent the provinces will include Asad Saeed (Sindh), Mehfooz Ali Khan (Balochistan), Musharraf Rasool Cyan (KP), and Dr Salman Shah (Punjab), as well as the federal finance secretary.